I have been reflecting a lot lately about this question – “What does it mean to be church?” Three recent events in my life have caused this reflection and question to surface. Me with Rev. Dr. Moses Penumaka, Professor of Contextual Education & Director of TEEM at PLTS. 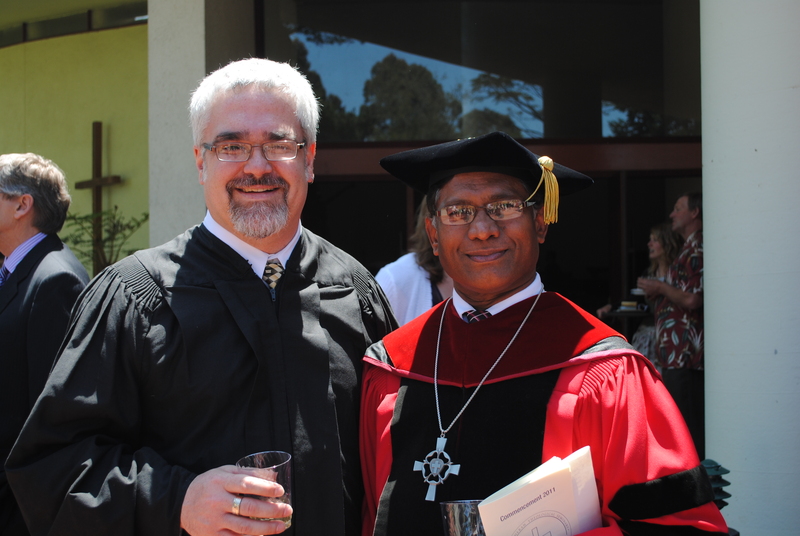 My family and I recently attended graduation at Pacific Lutheran Theological Seminary in Berkeley, California. I was receiving a Certificate in Theological Education for Emerging Ministries alongside 48 other graduates who were receiving a variety of degrees. On this day of celebration, each graduate shared a story that included countless hours of study, testing, and writing that unfolded in its own unique way. We shared in the struggles and joy that brought us to this day. Our family, friends, professors, and leaders from across the church also walked with us in this story. Graduation was a day of great celebration and hope-filled anticipation of where God was calling each one of us to be church beyond our seminary education. 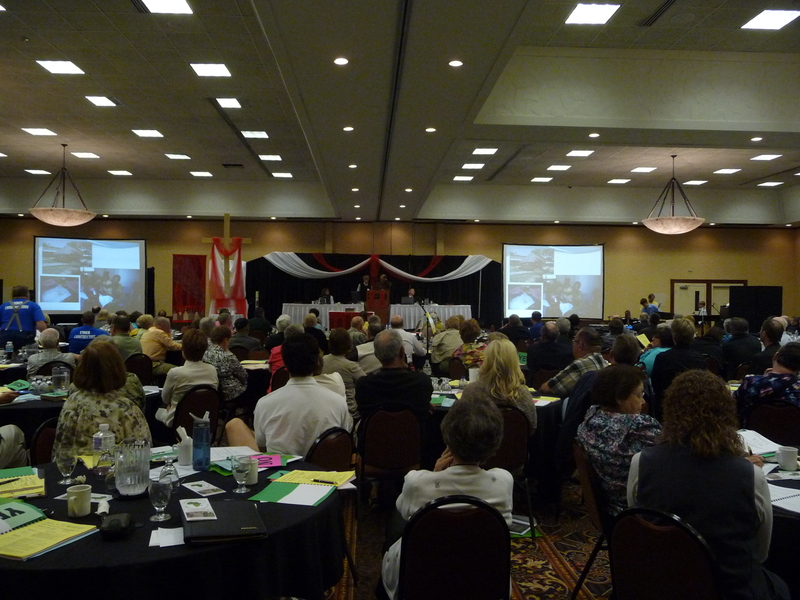 The second event was the Western North Dakota Synod Assembly in Bismarck during the first weekend in June. The congregation I serve, Good Shepherd Lutheran Church, was a very active participant in this year’s assembly. The theme for this year’s Synod Assembly was “Missionary Me? Missionary Me… Missionary Me!” The “me” of this theme lifted up our relationship with millions of Lutheran Christians being the church in the world, not as individuals acting as missionaries working independently. Good Shepherd is church not as an independent congregation in Bismarck. Good Shepherd is church with 185 congregations in the western North Dakota Synod and more than 10,300 congregations in the Evangelical Lutheran Church in America. This year’s Synod Assembly reminded us of our relationship with other congregations across the country and how we are called to be church in our local context knowing that we are very deeply connected to the church around the world. And the third event will happen this August. I have been invited to be part of the music and worship leadership during the 2011 ELCA Churchwide Assembly in Orlando. At this gathering we will celebrate being church not only as the ELCA, but also with our brothers and sisters in Christ in other denominations and faith traditions. I am humbled to have received this invitation and look forward to leading worship with musicians from around the world as we join together in being church. When you ask the question, “What does it mean to be church?,” how do you answer? We are the church. We are called to be. May each experience of being church that you and I have, deepen our relationship with God and our fellow brothers and sisters in Christ. This entry was posted on Saturday, July 2nd, 2011 at 3:47 pm	and posted in The Church in The World. You can follow any responses to this entry through the RSS 2.0 feed.